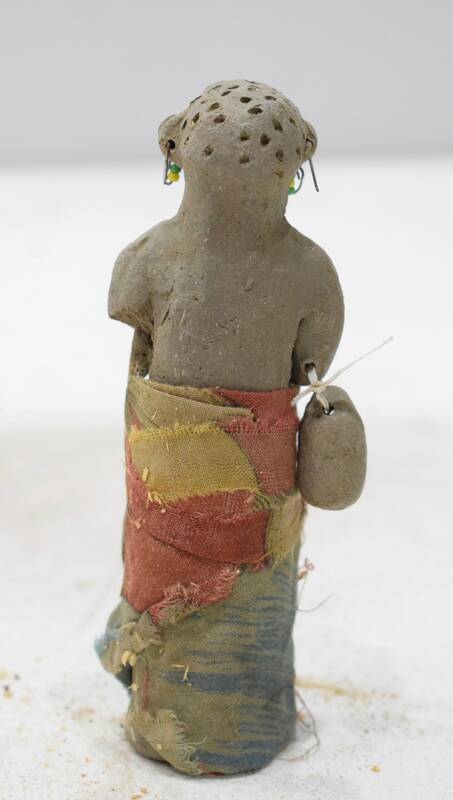 This is a Vintage African Samburu Clay Wise Men Nativity Doll with Glass Bead Earrings, Wrapped in Fabric and Beads Carrying a Gift Bag and A Staff from the Samburu Tribal People of Kenya. This is a unique Christmas Nativity Doll. 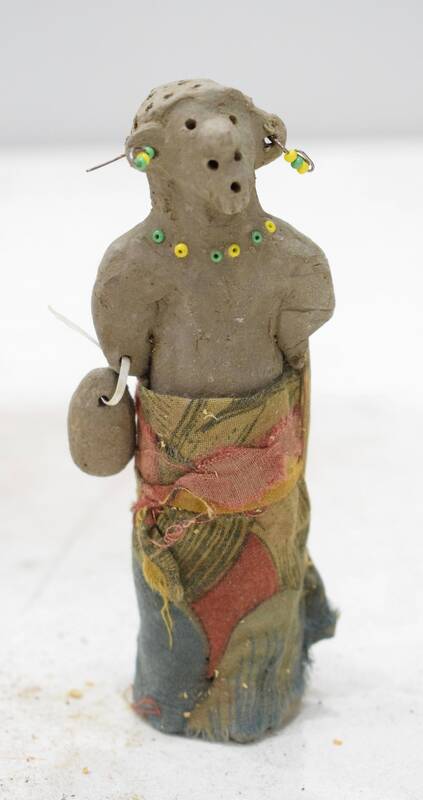 The Samburu create these wonderful sculptures out of mud/clay, paint and cloth with great expressions and symbolism. These mud/clay dolls are part of their unique art and very important to their culture. This would be a unique item to display in your home or to add to your collection.